In Denver, many of us try to buy local. With so many new start-ups and small businesses popping up every day (Forbes did rate us as the Best City for Business and Careers), it’s great to support these ventures while also building Denver’s economy. When it comes to buying food, however, local can be a bit more challenging. Farmer’s markets are fantastic in the summer, but their season is limited. So it’s back to the big box grocery stores. 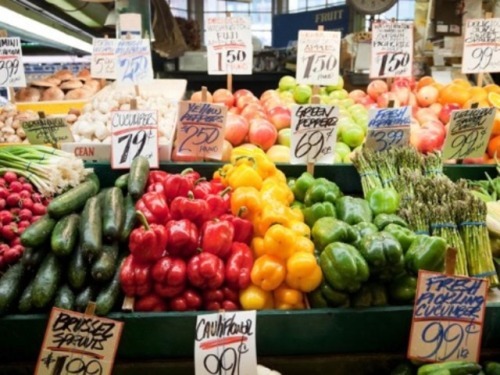 Although traditional grocery stores offer incredible variety, they don’t provide the same personal feel as visiting your favorite market vendor. Currently, there are two food co-ops accepting members and moving forward with their community-centered models: the Westwood Food Co-op and the Northeast Community Co-op Market. “Our name is telling – Re:Vision. That’s what we’re all about. Try one thing, make it a little bit better, and a little bit better,” said Cat Jaffee, Director of Communications and Public Affairs at Re:Vision when discussing Re:Vision’s process to reach this point with the food co-op. The Westwood Food Co-op is a unique and uncharted territory: this will be Denver’s first full-service grocery store that’s owned and operated by a community living in a food desert. Westwood, a neighborhood in southwest Denver, is one of many food deserts in Denver where there is minimal access to grocery stores, leading to poor diets and ultimately greater risk for health issues. Re:Vision, a local non-profit, has been partnering with Westwood community members to address these issues. In 2007, co-founders Eric Kornacki and Joseph Teipel began touring Denver neighborhoods to talk with community members. When they spoke with Westwood community members, they found people not only talked about issues within their community, but also solutions to address these issues. Thus began a community-driven process to support and grow Westwood. Since 2007, the Westwood community has flourished. 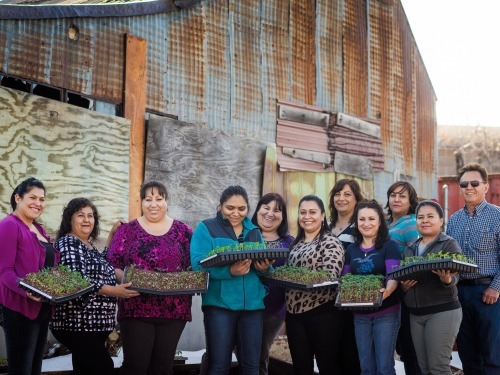 A community of 81 percent Hispanic individuals, they have adopted a Promotora model to encourage backyard and community gardening and offer nutrition and health education. Now the community is ready for the next step. Although Re:Vision has secured the space for the co-op, they are not the owners.“Re:Vision is incubating the co-op, but everything is community led. The Board is 100 percent community members.” Currently, the Westwood Food Co-op has 375 members, with a goal of 1,000. In case starting the first food co-op in Denver doesn’t sound like enough of an accomplishment, Re:Vision has many dreams for the future. The physical space for the co-op, located at 3738 Morrison Road, will be large enough to house several additional organizations. Re:Vision hopes that this will “be a place that can help incubate other community-driven initiatives,” explains Jaffee. Beginning in 2011, community members in the northeast Denver/Stapleton area began investigating bringing a natural grocer into their neighborhood. After conversations with several large and more local grocers (Natural Grocers, Sprouts, Tony’s), they discovered that larger grocers weren’t interested in their location due to demographics and population numbers. Thus began the Northeast Community Co-op Market (NCCM) concept. A survey of neighbors in spring 2012 revealed great interest in this project, especially in organic and locally grown products. Today, NCCM has a six-person board and 701 members. Currently, they’re in an intense planning phase. One of the greatest challenges for NCCM has been securing a space. With the creation of so many new developments in northeast Denver, developers have been hesitant to do business with a startup. Despite the barriers, they anticipate announcing their location in the spring of 2016. “Starting a co-op is more of a marathon than a sprint. As much as we’d like to be open tomorrow, it is important to take the right steps and make the right decision to ensure the co-op’s success for generations,” says Thomas Spahr, Board Chair.